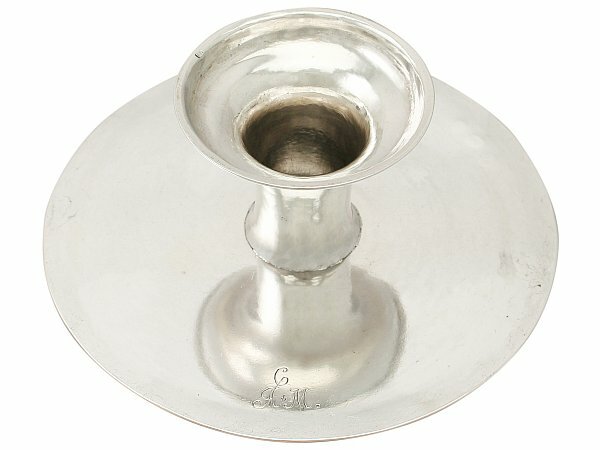 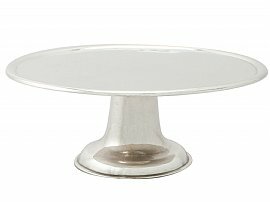 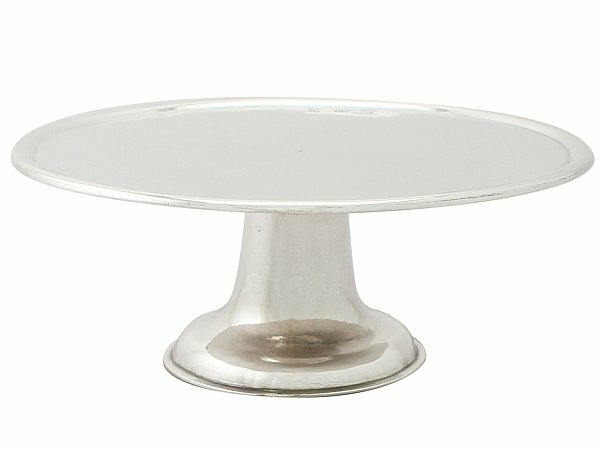 This exceptional antique George I Scottish sterling silver tazza has a plain circular form onto a cylindrical pedestal foot. 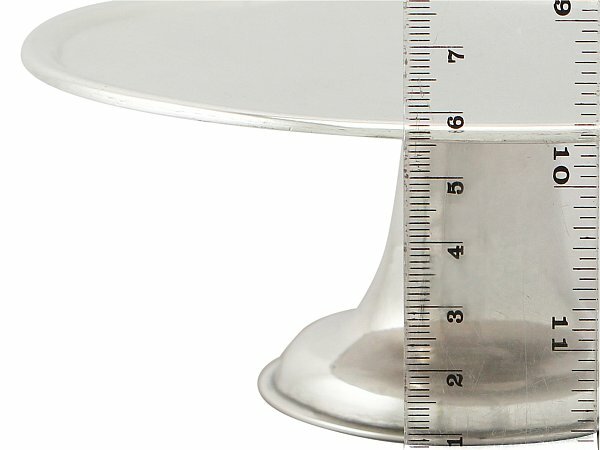 The surface of the tazza is plain and unembellished apart from the silversmiths centre punch mark. 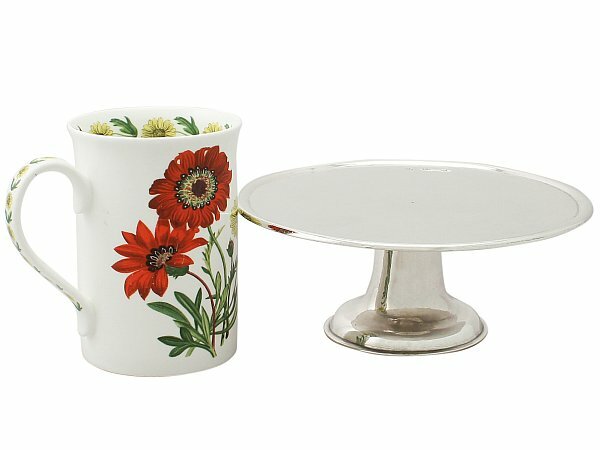 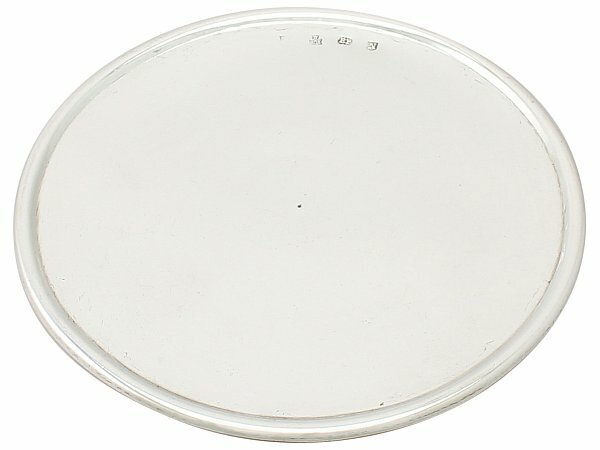 The rim of this antique tazza is encompassed with an applied moulded border. 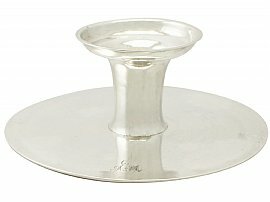 The underside of the tazza is embellished with the contemporary engraved initials 'CAM'. 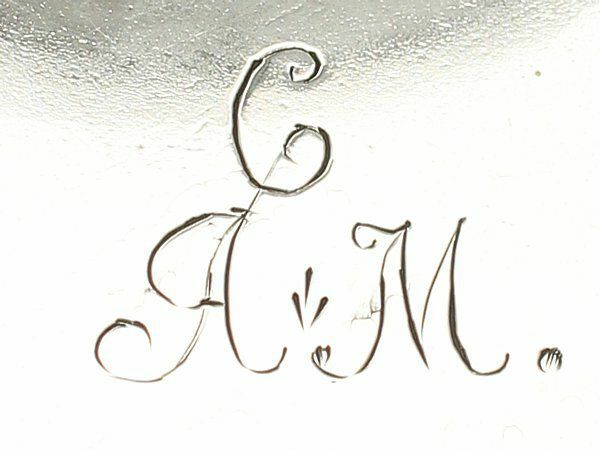 This exceptional example of Georgian silverware has a fine colour and patination*. 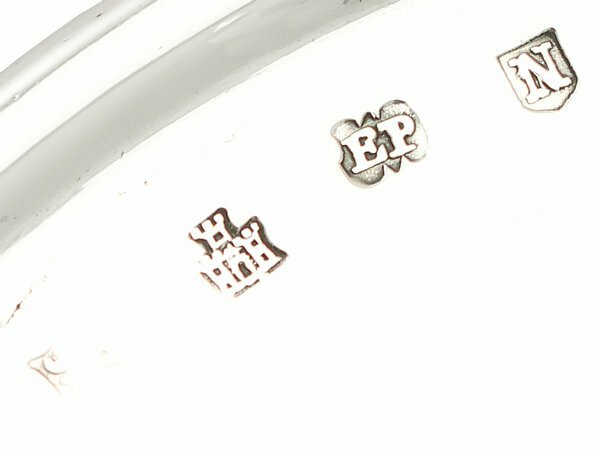 Such period examples in Scottish sterling silver are becoming increasingly scarce to the market. 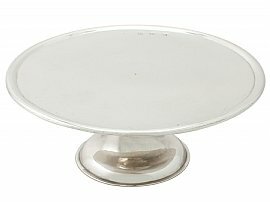 This antique tazza is an exceptional gauge of silver, exceptional quality and in exceptional condition. 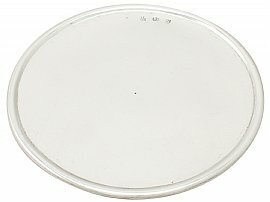 Full hallmarks to the surface of the tazza are all very clear, in keeping with age; the lion passant mark is worn but remains legible.